Priyanka Chopra and fiancé Nick Jonas are gearing up for another wedding of the year. The actress recently had her bridal shower in New York City and a Bachelorette weekend in Amsterdam with her bride squad. The couple recently obtained a marriage license. They reportedly visited the Beverly Hills Courthouse and filled out the paperwork for the license a week ago. 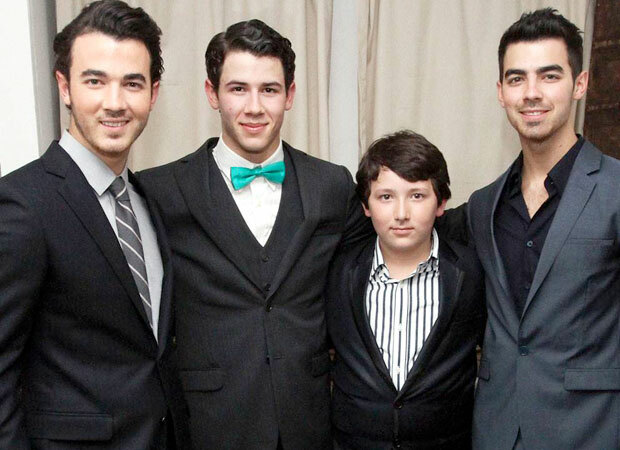 Now, we know who the groomsmen for Nick Jonas are. Nick Jonas will have 11 groomsmen and we know five of them. As he is extremely close to all of his brothers, Kevin Jonas, Joe Jonas, Franklin Jonas will be three groomsmen. Priyanka Chopra’s brother Siddharth Chopra will also be joining the groomsmen squad along with Nick’s close friend Jonathan Tucker. Ahead of the bachelor party, Nick shared a picture of himself posing with scooters. He will be gifting custom Lime scooters to his 11 groomsmen. “I was searching for a fun way for my groomsmen to be mobile and ready to roll — so I called up my friend at @Limebike for some help…” he captioned the photo. Rumours are rife that Priyanka Chopra and Nick Jonas will be tying the knot following both of their traditions. The Indian style wedding will reportedly take place at Jodhpur in a grand way in December.